The turkey has been basted and is ready to be baked. 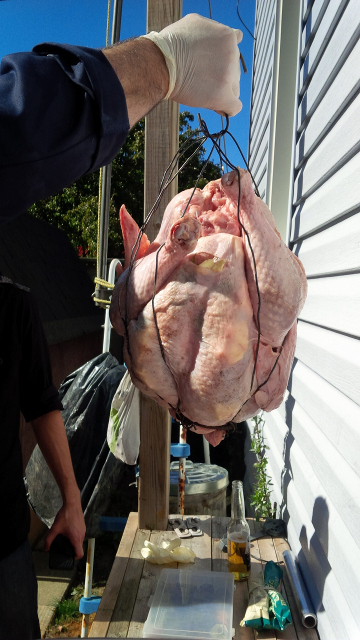 The turkey has been placed in a wire contraption my husband made out of clothes hangers. 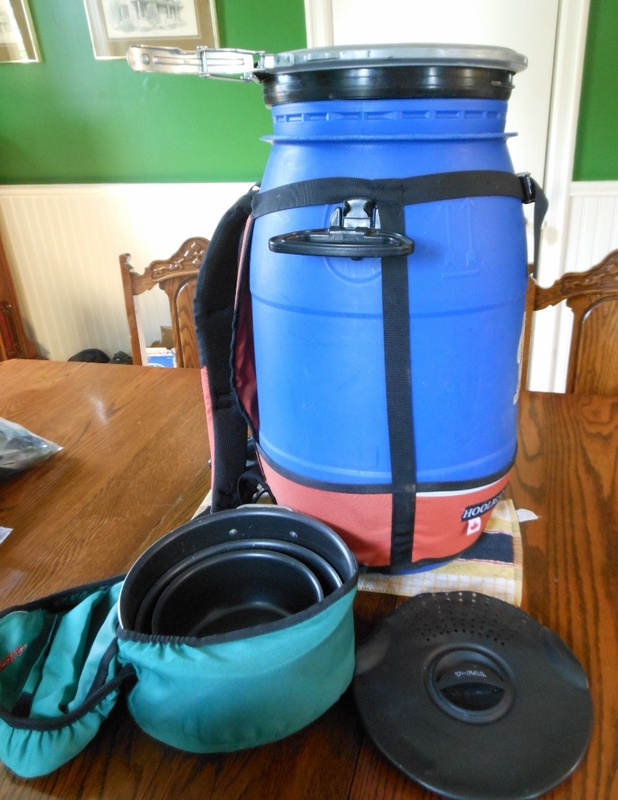 This will enable the turkey to be hung on the stake. The turkey is hung and being watched by our Beagle Cocoa. Bear watching the hung turkey as my husband lays foil on the ground. 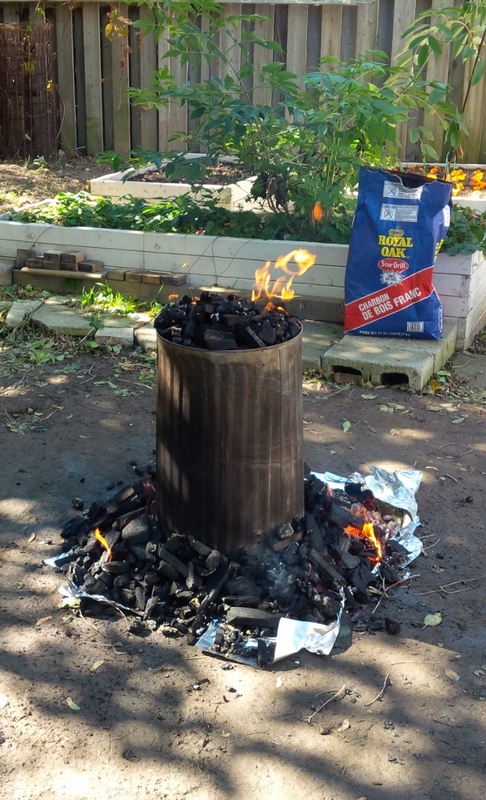 The trash can has been placed over the turkey, charcoal is surrounding the can, and placed on top of the can. 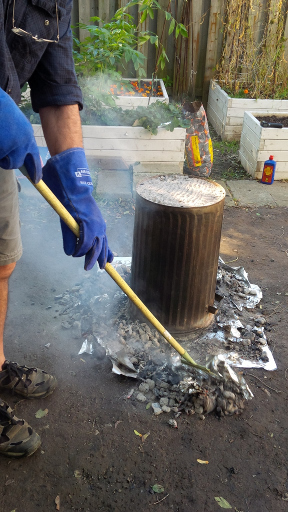 The charcoal is raked off the top of the trash can, and surrounding area on the ground. 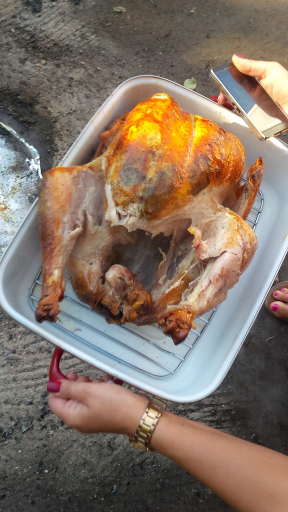 The trash can has been lifted and voila we have a baked turkey. 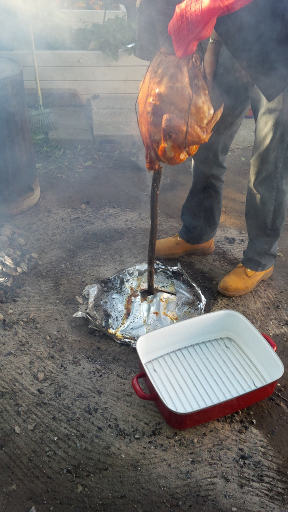 The young man carefully lifts the turkey off the stake. Our trash can turkey is ready to be carved and served. This entry was posted in Bake, Baking, Barbecue, Baste, Basted, Basting, Beagle, Beagles, Canadian Thanksgiving, Celebration, Charcoal, Clothes Hanger, Cook, cooking, Cooking, Doberman-Shepherd, Dog, dogs, Foil, food, Garbage Can, holiday, Holidays and tagged Roasting Pan, Thanksgiving, Thanksgiving, Trash Can, Trash Can Turkey, Trash Can Turkey, Turkey, Turkey on October 14, 2015 by AlwaysARedhead.